Just came from a pet shop to get some supplies and found this little one standing there being sold as a refrigerator magnet. 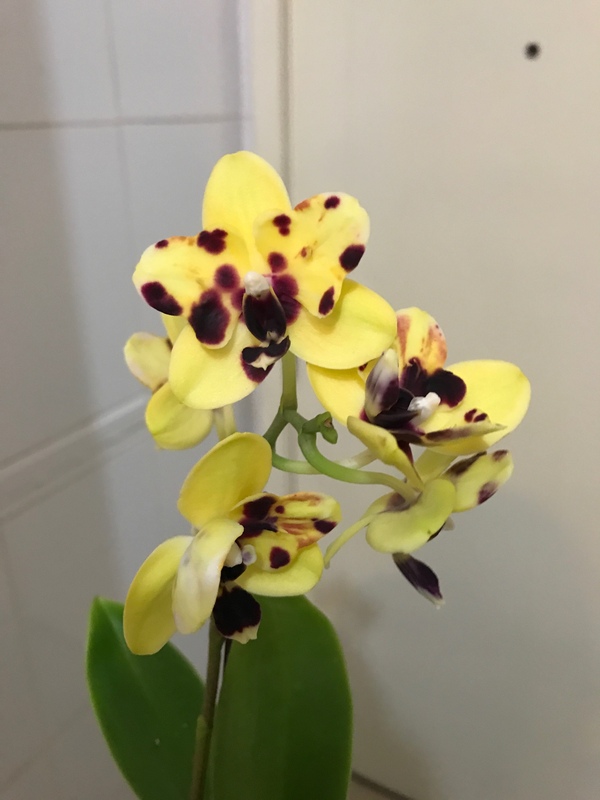 What a surprise, This ?mini phal? 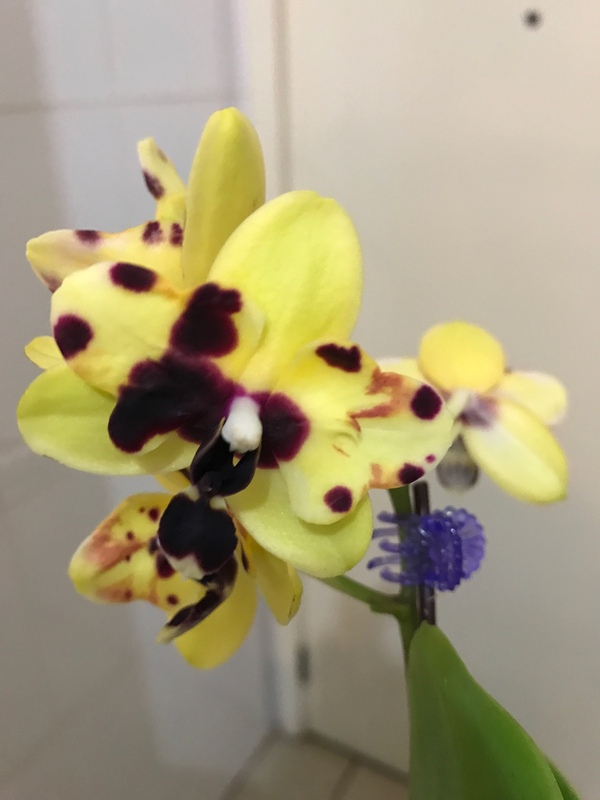 With its small yellow flowers and peloric petals with dark burgundy spots. 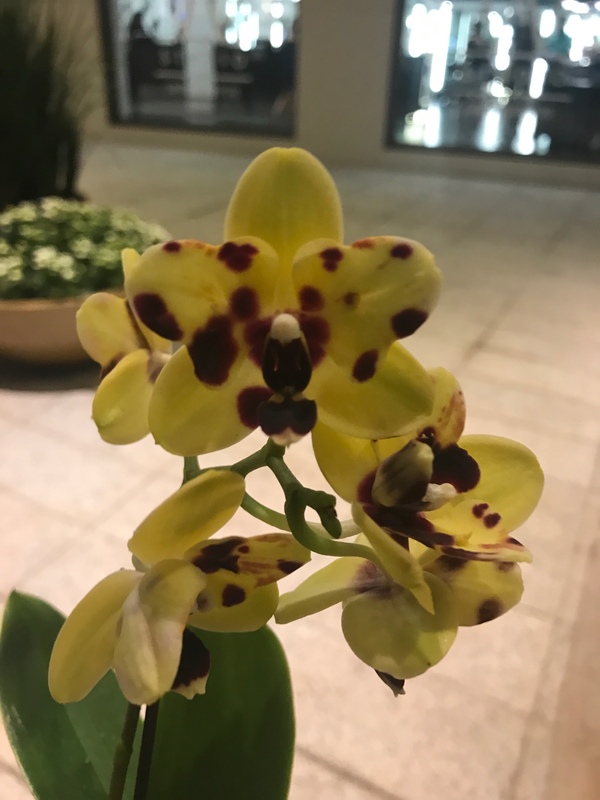 It's night time and it remains fragrant! Hopefully tomorrow the scent will be stronger! Could anyone ID This one? 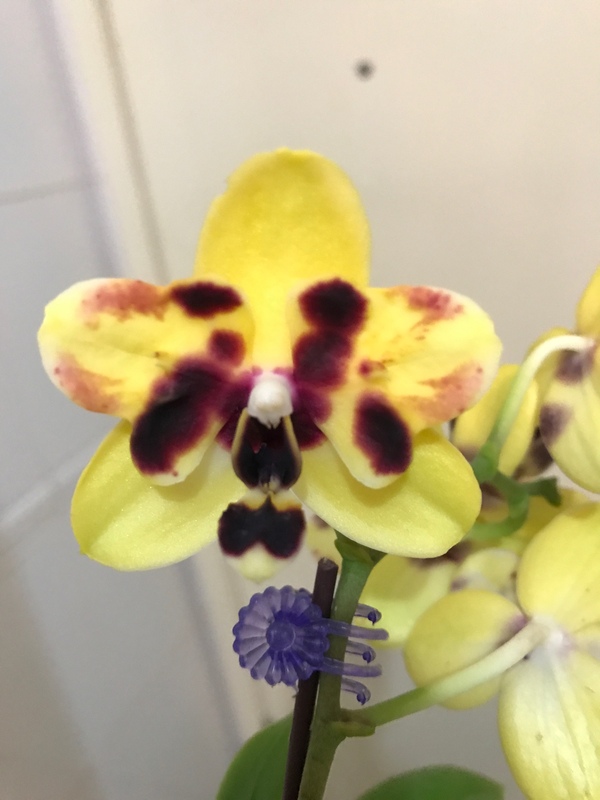 No I do not know the phal's name, but I adore the coloring!